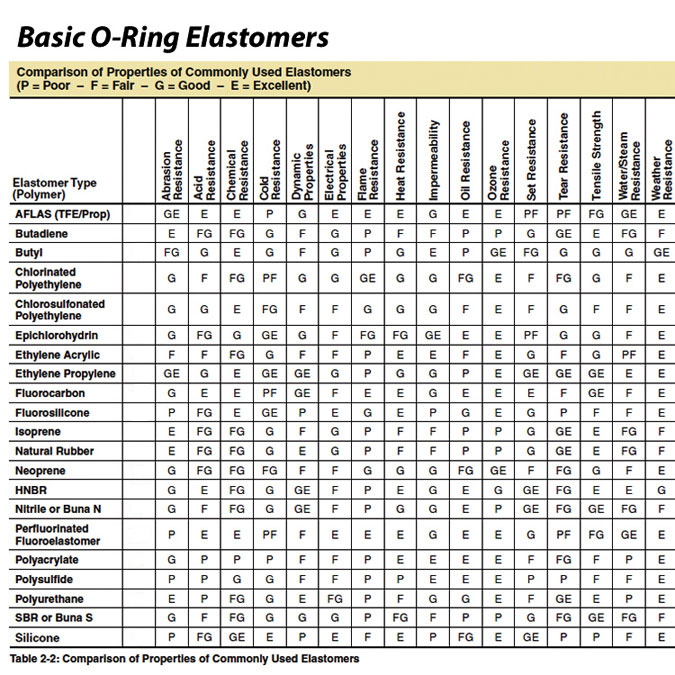 The primary fluid(s) to which the elastomer will be exposed. Secondary fluids to which the elastomer will be exposed, such as cleaning fluids or lubricants. Exposure to chloramines in water. The suitability of the material for the application's temperature extremes, both hot and cold. The presence of abrasive external contaminants. The presence of ozone from natural and artificial sources, such as electric motors, which can attack rubber. Exposure to processes such as sterilization by gas, autoclaving, or radiation. Exposure to ultraviolet light and sunlight, which can decompose rubber. The potential for outgassing in vacuum applications. Will the product come in contact with the human body, directly or indirectly, and if so, for how long a period? Does your part need to be a special or specific color?